This Halloween, Morton East library has 350 horror books. 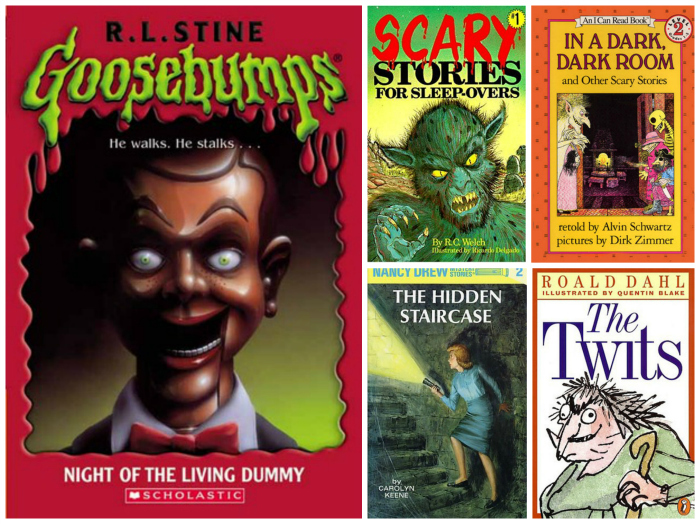 Halloween is a good time to read and scare yourself with a horror book. A popular series at the library is the Walking Dead series. If you like to read — and like horror, consider these top five young adult (YA) scary books this Halloween season. The Replacement (Brenna Yovanoff): the book is about a teenage boy called Mackie Doyle. He is from a world of zombie girls. He is not human. “He is a replacement, left in the crib of a human baby sixteen years ago”. Slice of cherry (Dia Reeves): the book is about these two girls finding out that their dad is a serial killer. So they discovered a new way to seek revenge on the people that have done bad things to them. Be not afraid ( Cecilia Galante): the book is about these two high school girls that summoned demons with a ritual they did months before. Anna dressed in the Blood ( Kendare Blake): the book is about A guy who travels a lot catching a ghost. He goes to a town to face Anna dressed in blood who has never let a soul escape. Though the woods ( Emily Carroll): the book has different scary novels featuring the Boogie man, beast, ghosts, and resurrected corpses. And, remember, reading makes you smarter — even if you’re terrified of it.